This volume was published by Rowman & Littlefield on May 17, 2006. Dr. James JF Forest is the Director of Terrorism Studies and an associate professor at the United States Military Academy, where he teaches courses on terrorism and counterterrorism, information warfare and foreign policy, and directs several research initiatives for the Combating Terrorism Center at West Point. 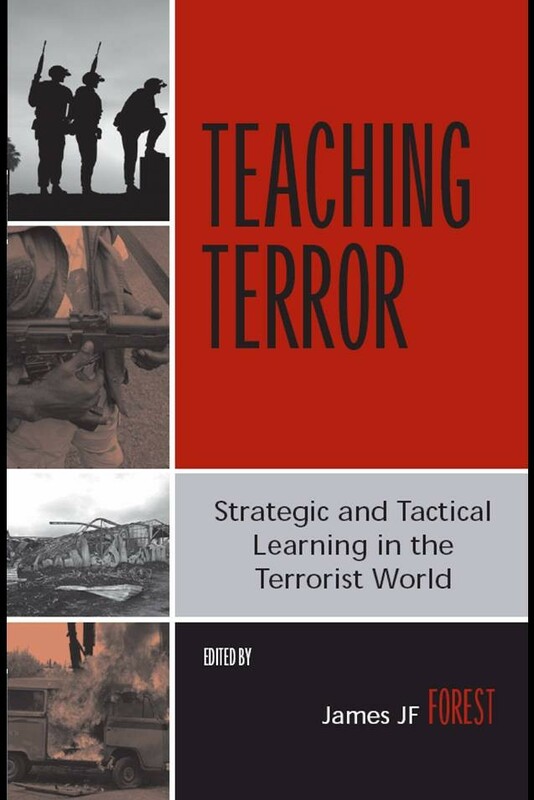 He has published nine books on a variety of topics, including Teaching Terror: Strategic and Tactical Learning in the Terrorist World (Rowman & Littlefield, 2006), The Making of a Terrorist: Recruitment, Training and Root Causes (Praeger, 2005), and Homeland Security and Terrorism: Controlling the Security Environment (McGraw-Hill, 2005), as well as articles in the Cambridge Review of International Affairs, Democracy and Security and the Journal of Political Science Education. Dr. Forest also serves as a guest lecturer for several government agencies in the U.S. and Europe, and maintains a top secret security clearance. He holds degrees from De Anza College, Georgetown University, Stanford University, and Boston College.